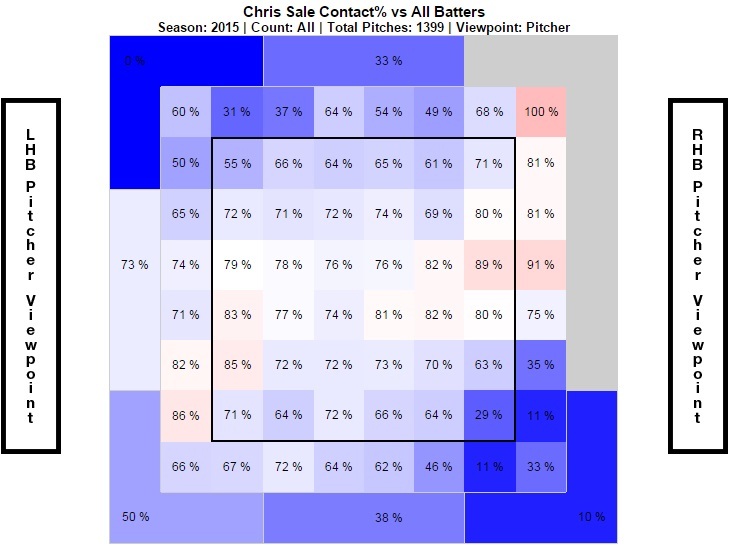 As good as Sale’s previous 8 starts have been, it has been his last 5 or 6 that really dazzled. ESPN and Elias Sports Bureau were quick to acknowledge his 5 starts in a row with 12 or more strikeouts as a noteworthy accomplishment that puts him on par with (if not above) Randy Johnson in 1998 and Pedro Martinez in his ’99 Cy Young season. Chris’s company is impressive, as are his other numbers in these 5 outstanding starts since May 28th, which include 68% strikes thrown, an average Game Score of 81.4, 0.62 WHIP, and 0.72 ERA. As the results show, Sale has pitched himself into yet another exclusive club. Only three other hurlers grace this list, and they each have a plaque in Cooperstown. Randy Johnson struck out 10 or more opponents in 6 straight starts four times and achieved double digit K’s in 7 consecutive games in his 2001 season (his third in a row winning the NL Cy Young). Pedro Martinez, meanwhile, holds the top spot with 10 starts in a row of double digit strikeouts (from the end of his second Cy Young campaign in August 2009 to the start of his third in April 2000), and his 1.06 ERA also tops the table. Sale’s current stretch is nothing to scoff at though: an average of 12.5 strikeouts per start, a 1.19 ERA, and just 22 hits allowed plus 7 walks issued (both are best among the streaks above). Looking even more closely at these last 6 games by Sale led me to make one more list, which enumerates the pitchers with the longest streaks of quality starts with 10 or more strikeouts and 5 or fewer hits allowed. Since 1914, no pitcher started more than 5 straight games of 6 or more innings, 3 or fewer earned runs, 10 or more strikeouts, and 5 or fewer hits. That is, until last night, when Chris Sale extended his streak to 6 games, topping Johan Santana’s five in his 2004 Cy Young campaign and Randy Johnson’s five at the end of his 1999 and beginning of his 2000 seasons (the first two of four years in a row he would take home the NL Cy Young Award). There is something else that is noteworthy about these three guys who top the list of consecutive quality starts with double digit K’s and no more than 5 hits allowed: they are all southpaws. Pedro Martinez and Nolan Ryan also make appearances on this list, rounding out another All-Star group. Sale’s last six starts added 3 wins and 2 losses to his season totals despite allowing just 6 earned runs and posting 4 Game Scores above 80. That 3-2 record in the quality start streak is the same as Johan Santana’s in his 2004 5-game stretch, which is similar in quite a few more ways to Sale’s current one (hits, walks, and earned runs). This similarity makes me wonder where Chris Sale is headed. Perhaps to his first Cy Young? The pitchers that Sale now owns a record streak over are some of the best to ever step on a Major League mound, which may be humbling to the 26-year-old in the midst of his 6th season with the White Sox. Or it may just inspire him to continue down the path of mowing down hitters and sending them back to the dugout shaking their heads at another off-speed pitch that the filthy change-up artist fooled them on. After all, he can reasonably claim that his past month or so is one of the best months that any pitcher in recent memory has had (including those posted by Hall of Famers in Cy Young years). UPDATE: On Wednesday June 24 at Target Field, Sale struck out 10 Twins, his seventh game in a row with double digit K’s (moving up this list into a 4-way tie for 2nd). 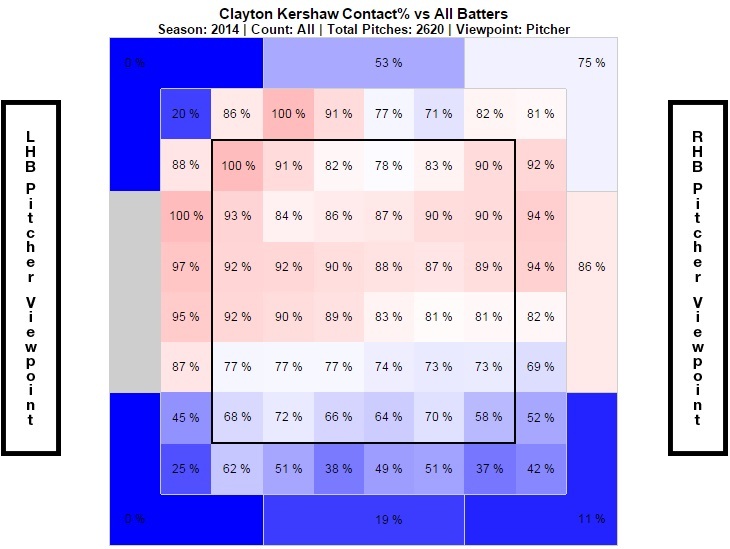 However, he gave up 6 runs (5 earned) on 8 hits in 6 and 2/3 innings of work and thus was unable to add to his record six straight quality starts with 10+ strikeouts and 5 or fewer hits allowed. He was also unable to set the MLB record for consecutive starts with 12 or more strikeouts and remains tied in the record books with Randy Johnson and Pedro Martinez at 5. UPDATE: On June 30 at Busch Stadium, Sale sat down a dozen Cardinals by way of the K, his eighth consecutive game with 10 or more strikeouts, tying Pedro’s 1999 single-season record for most starts in a row of double digit K’s. In doing so, Chris Sale finished the month of June with a 1.83 ERA, 0.483 OPS against, 0.81 WHIP, and a whopping total of 75 strikeouts, becoming just the 5th pitcher in the last century to fan that many batters in a calendar month. The last time that happened (and the only other time it happened in June): Nolan Ryan struck out 87 batters in June 1977, the most strikeouts in a calendar month dating back to at least 1914. In fact, Nolan Ryan (who is now part of 3 different teams Franchise Four) had 5 months with at least 75 K’s…the other four pitchers on this elite list (Bill Bailey, Sandy Koufax, Sam McDowell, and now Chris Sale) combined for just 4 such months.